Vitamins are important nutrients that are required for the functioning of the human body and greatly contributes to maintaining the optimal health. 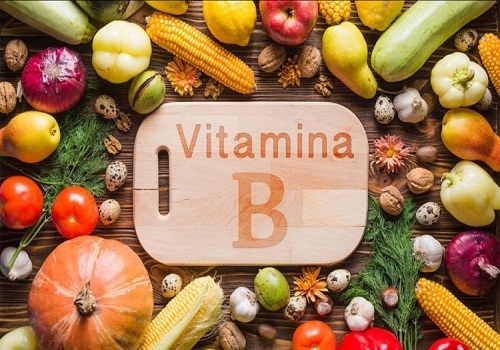 Vitamin B which is one of the most important vitamins required by the human body is responsible for the production of energy and biosynthesis of various important molecules in the cells. Vitamins are typically categorized as either water soluble or fat soluble and B complex vitamins are water soluble that can easily be eliminated from the body through renal excretion. There are 8 typical members of this complex vitamin and each member plays a vital role to maintain the health. Thiamine is also known as aneurine and it is important for the metabolism of glucose in the body and it acts as a coenzyme in the metabolism of carbohydrates and amino acid. It also plays a main role in maintaining the proper functioning of the nervous system. The clinical symptoms of the deficiency of thiamine include weight loss, a decrease in memory, confusion, irritability, muscle weakness, and an enlarged heart. Deficiency of thiamine results in the disease which is known as beri beri and it occurs in the human milk fed infants whose mothers are deficient in the vitamins. Riboflavin is a coenzyme that is responsible for the energy that is released from the food and it is considered to be a unique vitamin among the water-soluble vitamins and it makes the greatest contribution to its intake in the western diet. Deficiency of riboflavin can result in various health disorders such as angular stomatitis ( inflammation on one or both corners of the mouth), mucosal crusts, magenta colored tongue and there are some evidences that the poor riboflavin status interferes with iron handling and contributes to the development of anemia. Also, riboflavin deficiency has been implicated as a risk factor for cancer. Niacin is also known as nicotinic acid and this vitamin is important for various body reactions. It is mainly responsible for the production of energy, normal functioning of enzymes, promotes normal appetite, digestion, the health of nerves and skin. Clinical symptoms that occur due to deficiency of niacin include extreme tiredness, diarrhea, poor appetite, headache, irritability, emotional instability and the loss of memory. The deficiency of niacin can result in the development of disease known as pellagra, a disease which is characterized by dermatitis, diarrhea, and dementia and it is a serious disorder which can result in death if left untreated. Pantothenic acid plays an important role in metabolism as a part of coenzyme A. It is also responsible for the production of energy, synthesis of the hormone, and the metabolism of fat, proteins, and carbohydrates. Deficiency of this vitamin is rare as it is found in many foods and some of the food items are known to be exceptionally rich in this vitamin are peanut butter, almonds, wheat bran, cheese, and lobster. If the deficiency of pantothenic acid occurs, it is accompanied by symptoms like tiredness, sleep disturbances, impaired coordination, bad temper, distress, constipation and numbness and tingling in hands and feet. Vitamin B6 is a group of pyridoxine, pyridoxal, and pyridoxamine and this vitamin is important for its role in the synthesis of neurotransmitter, serotonin and for the formation of myelin. Deficiency of pyridoxine affects many organs of the body such as peripheral nerves, skin, mucous membranes, and the blood cell system. It also helps in other functions such as building proteins, making antibodies, making hormones, keeping the nerve tissues healthy and digestion. Deficiency of Vitamin B6 is not common and if it occurs, it is associated with anemia, dermatitis with cheilosis and glossitis, weakened immune system, and peripheral neuropathy. Biotin is formerly known as vitamin H and it helps the body to convert food into glucose and convert it into an energy. It is important to get energy from the carbohydrates and it also helps in the metabolism of fats, proteins, and carbohydrates. It is found in most foods which are low in concentration. Deficiency of biotin is highly linked to problems like fatigue, conjunctivitis, alopecia, dermatitis, muscular pain and abnormalities with the central nervous system. Folate is a vitamin that helps in growing and protecting the cells of the body. Folate is highly important in the early stages of pregnancy. It lowers the risk for neural tube birth defects and controls the level of homocysteine levels and thus it also reduces the risk of coronary heart disease. Some food items that are a good source of this vitamin are fortified grains, spinach, broccoli, corns, peas, and oranges. Vitamin B12 is involved in the metabolism of every cell of the human body and it helps to maintain the health of nerve cells and the red blood cells. Cobalamin is also required to make DNA. It is a commonly found vitamin and can be found in a variety of food such as fish, meat, and dairy products. An advancing age is the most common factor that leads to the deficiency and this is the reason why the elderly are at higher risk of deficiency.